This is another discernment exercise for people to work through. This is an ethnic Chinese church in the Seattle, Washington area. 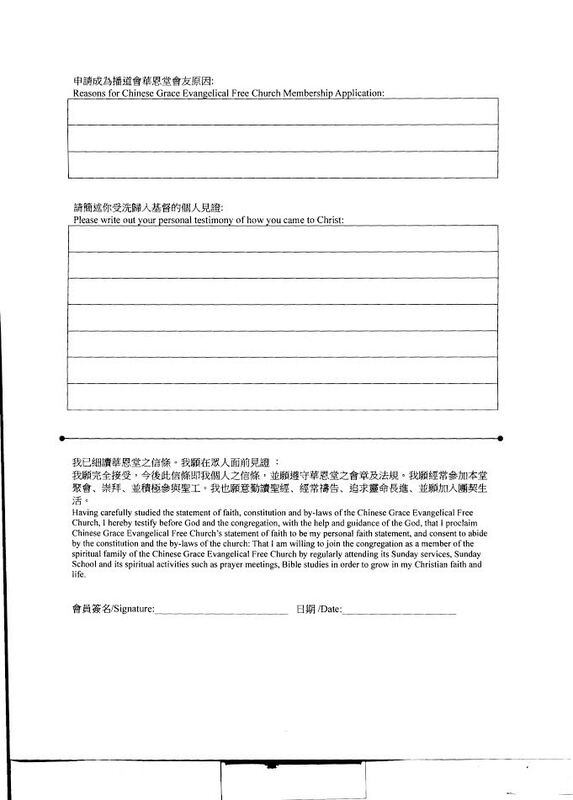 Its called Chinese Grace Evangelical Free Church. Study the membership application and look at the website and evaluate it. That very night the believers sent Paul and Silas to Berea. When they arrived there, they went to the Jewish synagogue. 11 And the people of Berea were more open-minded than those in Thessalonica, and they listened eagerly to Paul’s message. They searched the Scriptures day after day to see if Paul and Silas were teaching the truth. 12 As a result, many Jews believed, as did many of the prominent Greek women and men. Today I am going to post another church for people to look at and discuss. This is an ethnic one as well. 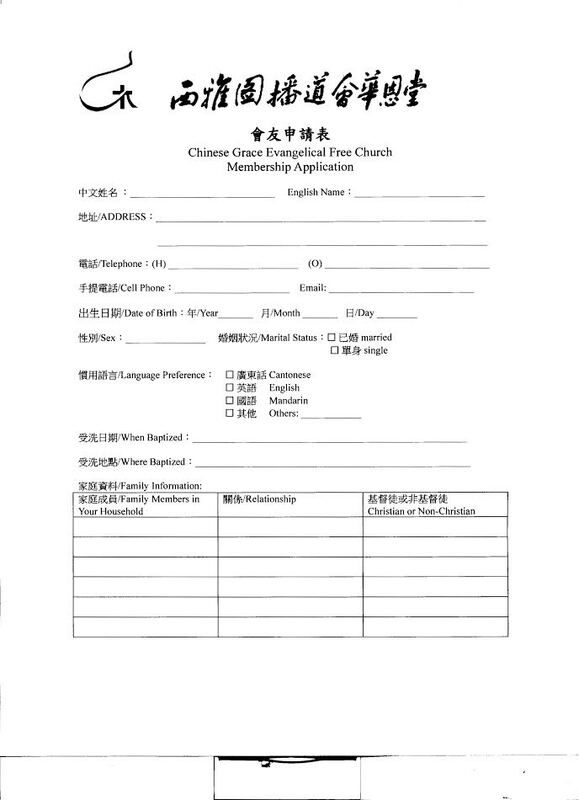 I came across Chinese Grace Evangelical Free when I was writing about the Pacific Northwest District of the EFCA. This church is based in Seattle, Washington. I have the membership application below so read it over and let me know what you think. Also if you study the website any concerns jump out at you? The point of posts like this is to get people to think critically for themselves. There are a lot of bad places out there, and a lot of cults. The best way to avoid places like that are to think for yourself and recognize the concerns. So have a good day and study the application and website. The first page of the application is mostly ok, except – why do they need to know whether the family members are christian? Is this so that they can badger the new members to recruit their families? Not good. Second page – again, the bulk of it is nothing I wouldn’t expect – what do you believe, why do you want to join our church? But then you get into the fine print, and the member is promising to attend services AND sunday school, AND other activities. AND consent to abide by the constitution and by-laws of the church. If you go the website, the “constitution” is locked for member-only access and the bylaws aren’t there. That’s a red flag for me – why should the constitution be locked? What don’t they want people to see? If they are hiding that, what else are they hiding? And as I see with a lot of these websites, there’s a lot of focus on evangelism, and “molding believer’s lives” but nothing much about helping the poor or the sick or anything about serving the community. “Love thy neighbor” does not appear to be the focus of any of their activities.